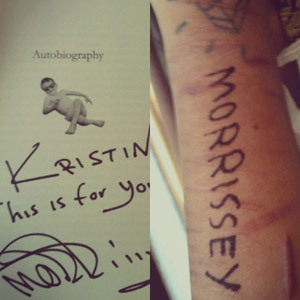 - Morrissey on "Victoria Wood's Nice Cup Of Tea"
- Morrissey on the "Late Show with David Letterman"
90959 Did you see Morrissey 25 at the cinema? 75363 Morrissey statement on South America tour, food poisoning at TTY: "See the luck I've had"
310 Did you see Morrissey 25 at the cinema? 236 Morrissey statement on South America tour, food poisoning at TTY: "See the luck I've had"